Posted by ChristianVictorianLiterature in Introducing..., Misc. Christians and non-Christians alike sometimes have difficulty believing Jane Austen really was a Christian because matters of faith are so understated in her works. Evangelical Christians today are accustomed to Christian novels in which character, plot and basically everything else of aesthetic value function merely as a platform for bold gospel declarations, and assume Austen must be a nominal Christian only because her faith is not similarly brazen in her fiction. Secular academics and biographers, on the other hand, are eager to place Austen within a feminist tradition because of her success and influence. They easily disregard subtle elements of faith in her novels, downplaying her beliefs as the inevitable product of growing up with a 19th century Anglican clergyman father. Peter Leithart’s biography Jane Austen, an installment in the biographical series “Christian Encounters,” vindicates Austen’s Christian faith by bringing to light excerpts from Austen’s letters and other personal writings that testify to its authenticity. 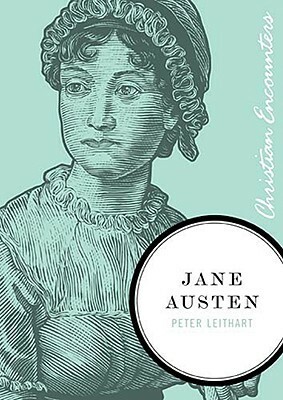 Leithart also explains that while Christianity may appear, to modern day readers especially, subdued in Austen’s works, it nonetheless serves as the foundational premise of her convictions on social behaviour. For Austen, manners and Christian morals are intertwined, as exemplified in the above quote, and causing “the discomfort of our fellow-creatures” is an “evil” and a “sin,” in her own words. Humans are not solitary creatures for whom the pursuit of personal freedom and choice are the ultimate right or moral good; rather, good and evil manifest themselves in our treatment of others, and our moral duty is to make others as “comfortable” as possible (see Luke 6:31, Mark 12:31, Romans 12:18). For Austen, “loving thy neighbour” means good manners – friendliness, politeness, cheerfulness, helpfulness, putting others before one’s self (this is the defining trait of a gentleman in Austen’s books), and “good sense” (Austen’s favourite). In Austen’s world, those characters who exhibit embarrassing or deplorable manners are vain, conceited, selfish, stupid and irrational. How could such traits describe a Christian? The Bible clearly states how people ought to behave, from proverbs about the importance of cheerfulness to New Testament descriptions of how disciples of Christ must live peaceably with one another. This is no trifling matter; we mistreat others to “the danger of our own souls,” Austen believed, echoing the warning of James 2:17: “faith by itself, if it is not accompanied by action, is dead.” Our salvation is indeed bound up in our manners. When viewed in such a light, it is hard to perceive Austen’s novels as anything but Christian. Read about Lady Susan, one of only two of Austen’s works to be published during the Victorian Era. 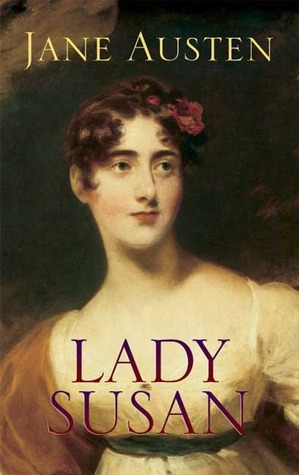 Lady Susan (1871), one of Jane Austen’s lesser known writings, was one of only two works by Austen (along with The Watsons) to reach publication during Queen Victoria’s reign (1837-1901). These two novellas were published posthumously (Austen died in 1817), but were actually among her early writings. Lady Susan, excitingly, is being released as a major motion picture on May 13, 2016 in the United States under the title Love and Friendship (curiously this was actually the title of another early writing). Christianity Today has already bestowed a rave review upon the film. And yes, Jane Austen was a Christian (more on that below, along with an upcoming book giveaway). Some readers might raise an eyebrow at finding the first page of this Austen book already rocking with scandal and impropriety in the person of Lady Susan, a flirtatious scheming widow (with a grown daughter, no less) who gets “thrills” out of seducing the attentions of even married men for her own amusement. But merely recall wicked Wickham of Pride and Prejudice; one might consider Lady Susan his female double. This time, though, we get to hear the story from the reprobate’s point of view. Austen seems to delight in crafting deceptive characters and watching unsuspecting people fall for them (even her own heroes and heroines). But the greatest satisfactory pleasure Austen’s novels deliver, Lady Susan not excepting, is the unveiling of true character at the final curtain call, when all the masks come off and the pretenses disappear. In Austen’s literary worlds, dishonest, scheming and immoral behaviour is always brought to light, and the duped become enlightened (usually to their indignant horror). In Austen’s time, when following rigid codes of manners and behaviour could enable success in relationships and society, one could conceivably “play the game” – that is, affect good manners – and thereby “win” a spouse, or friend, or popularity. Austen detests players of this game, and her heroes and heroines are those who remain honest, trustworthy and ethical, even at the expense of reputation or popularity. Lady Susan’s pretenses fail and her daughter Frederica’s innocent humility succeeds because of the higher moral order that Austen believes in, where bad is punished and good rewarded. Even though we know in real life that that is not always the case (and Austen wouldn’t make any such claim about reality), we know that is the way things ought to be, and the way we ought to think about things, for that is ultimately the divine order of things. God, the author of life, will see the just rewarded and the wicked punished in the end. It is God’s will that all secret deeds and thoughts be brought to light, and judgment. Likewise, Austen lays out her characters’ actions for her readers’ judgment. But such an endeavour is only effective because she presumes that readers presuppose a timeless, objective standard of morality that transcends all societies. Her eternal popularity, despite superficial changes to societal behavioural “codes,” testifies to this. We still believe that deceiving and manipulating people for one’s own personal gain is wrong, and that people ought to be held accountable for such behaviour. We’ve heard this before; this is “mere Christianity,” and this is Jane Austen, an Anglican and intellectual kin to C. S. Lewis. The scriptures say that “The Lord detests lying lips, but he delights in people who are trustworthy” (Proverbs 12:22). Austen seeks to evoke the same desires in her readers, to approve the honest and condemn the charade. It seems that Austen’s literary works are moralizing sermons after all, and it also seems to me, interestingly, that millions of readers have no problem with that, however consciously or unconsciously. Details on a Jane Austen Christian biography giveaway coming up soon!